Should Retail Allow Expired Coupons? The scenario occurs thousands of times a day at retailers around the world: A customer hands a coupon to a cashier, the cashier checks the expiration date and finds that the coupon has expired. What should the cashier do: accept the coupon and hurt the retailer’s bottom line, or reject the coupon and leave the customer with an unpleasant shopping experience? Retailers have long held varying opinions on this subject. Some accept not only expired coupons, but also coupons of competitors for similar items. Others are stricter about expiration dates. Here are the arguments on both sides. Accepting expired coupons can save a customer the embarrassment of having a coupon refused that they had not realized was expired. It provides them with a positive customer experience that can increase their loyalty. It can also bring in new customers, as word-of-mouth spreads about your business’ willingness to go the extra mile for customers. Moreover, a number of websites devoted to coupon-conscious consumers will promote your business as one that accepts coupons. Equally compelling reasons, however, suggest against accepting expired coupons. First, any expired coupons that you accept cut into your profits. If the coupons are manufacturer issued, the manufacturer will not redeem the expired coupons you accept, leaving you to absorb the lost revenue. Secondly, the customer gratitude hoped for by businesses can quickly sour. Customers who, at first, appreciated your willingness to overlook expiration dates, may be disappointed when their expectations of getting a better deal aren’t met. Finally, new customers you attract by accepting expired coupons may not be as beneficial as you hope. Consumers who frequent websites that promote businesses for accepting expired coupons may not be the most valuable customers as they are looking for cheaper prices, which can hurt your bottom line. 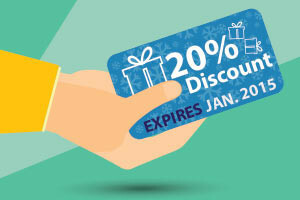 Ultimately, the decision is yours whether accepting expired coupons is worth your business’ while. Coupons, while offering attractive benefits, can also cause unintended problems. Whether you choose to accept expired coupons or not– or not use coupons at all – keeping your prices competitive is extremely important, as well. PriceManager can help you monitor your competitor prices on a daily basis so you can make sure your customers are getting a great deal and keep them coming back.